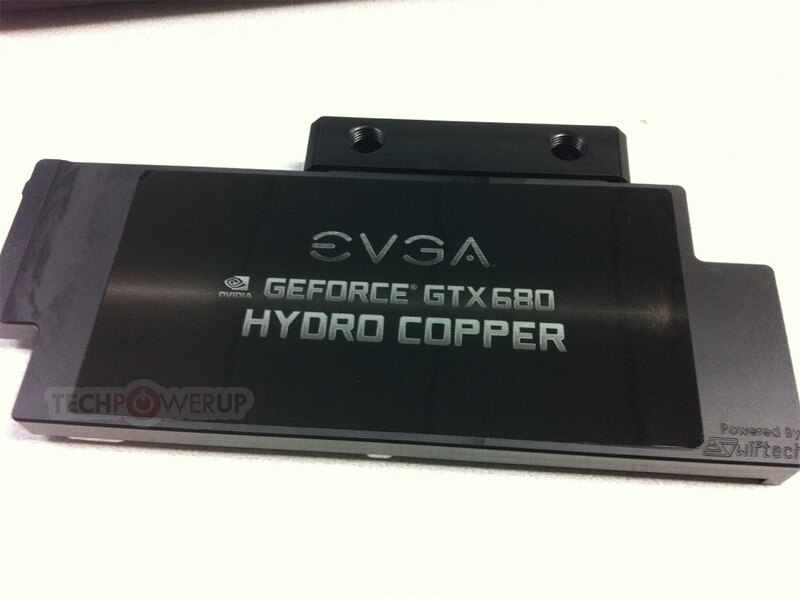 EVGA announces immediate availability of the EVGA GeForce GTX 680 Hydro Copper. This card offers a preinstalled Hydro Copper Waterblock, and reduces the GPU operating temperature by as much as 50%. 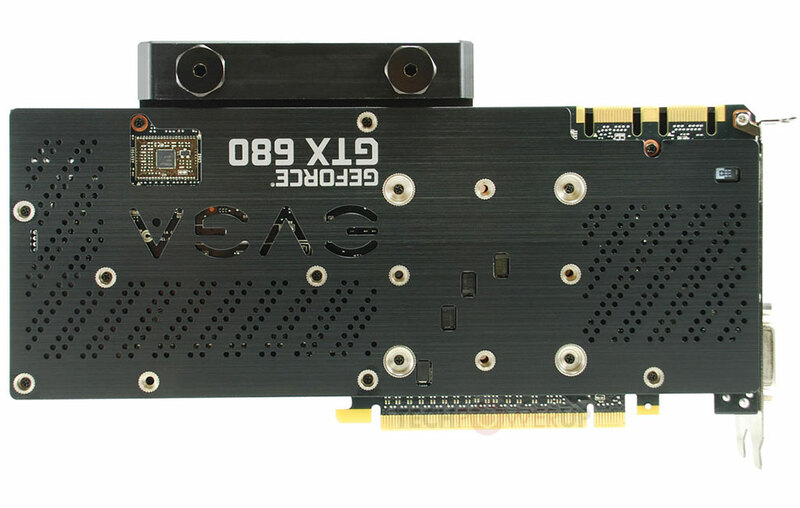 Additionally, the EVGA GeForce GTX 680 is optimized for overclocking with a 5 Phase PWM Design and 8pin + 6pin power connectors. 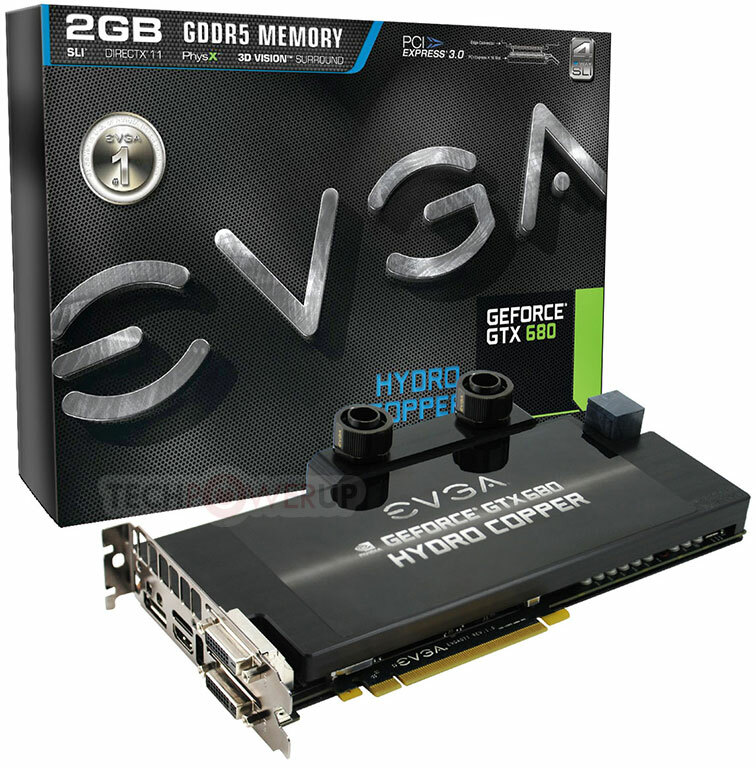 The EVGA GeForce GTX 680 Hydro Copper ships with increased clockspeeds of 1215MHz (boost clock) and 1150MHz (base clock). The memory has further been tuned with a stock frequency of 6300MHz. 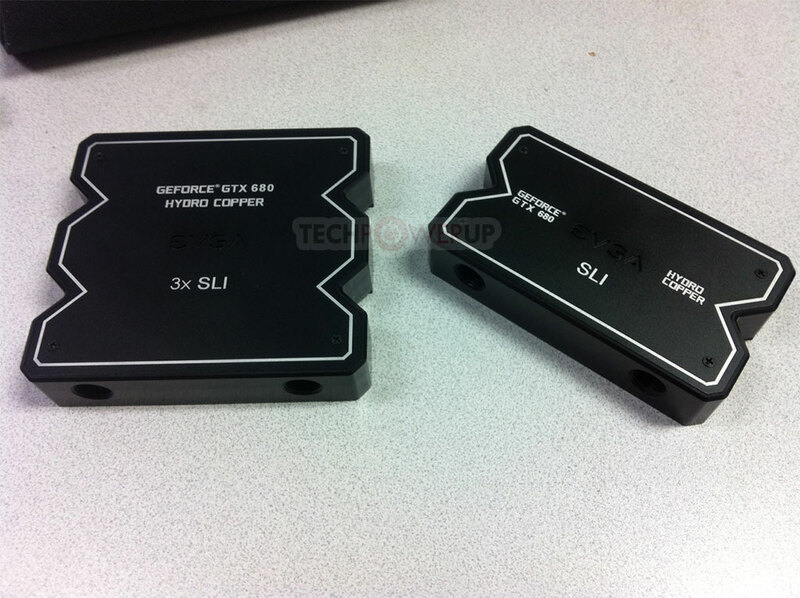 The EVGA Hydro Copper waterblock is also available separately. 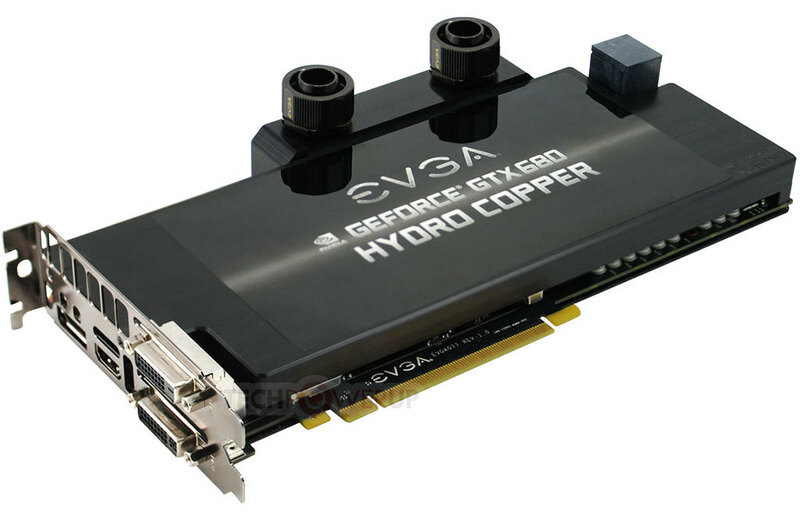 The EVGA GeForce GTX 680 Hydro Copper is priced at US $699.99, the Hydro Copper Waterblock for GTX 680 can be separately purchased for US $159.99. Replace the two DVI's with a DMS-59 and obviously fix the ridiculous power connectors and it would be an awesome card. Honestly, I hope whoever was in charge of that connector was fired (at both NVIDIA and EVGA). The stacker connector was used to maximize the size of the fan and shorten the length of the card. They saved a whole half an inch. What's the purpose of the electrical wire inside the block (pic 6)? One of the advantages of liquid cooling your GPUs is the single slot possibility and this stacked PCI power connector ruins it on so many level. "reduces the GPU operating temperature by as much as 50%"
So if they start out at 80 degrees Celsius (353K) under air cooling, half that temperature is roughly -96 degrees Celsius (176.5K), by my reckoning. If not, we can sue EVGA for misleading marketing, right? Seriously, why don't any of these companies get intelligent people to write their press releases? It's atrocious and hardly inspires confidence in their products. 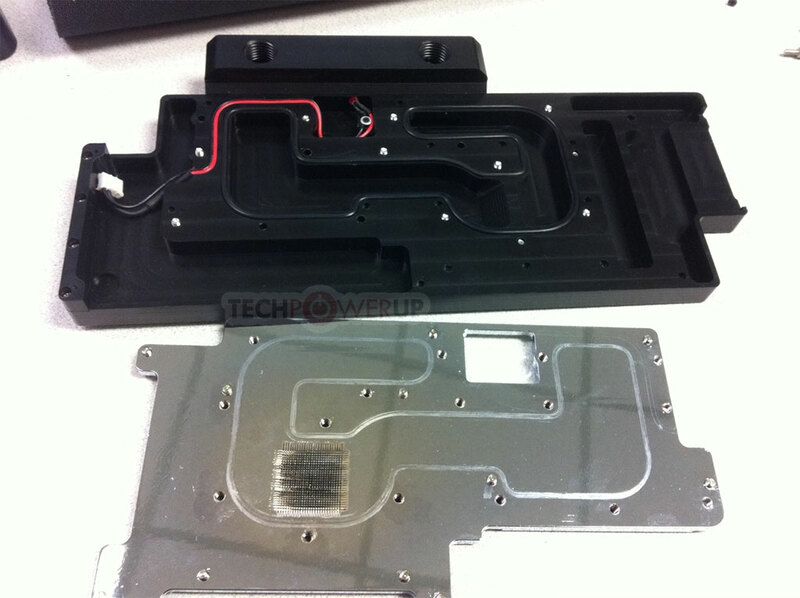 that waterblock is charge for the materials and the performance it offers. I think most people will read it as "woah 50% of my load temp of 80°, 40° here I come!". Not many people think of Kelvin when it comes to PC temps. I'm not sure what math are you using, but 50% lower temperature for a product that operates at 80°C full load means this water cooled solution will operate at 40°C full load. Which seems a perfectly reasonable figure to me. Kelvin is the units of temperature they are using, as Kelvin is the SI unit for temperature (like metres is for displacement). So 'technically' what they are saying is possibly true that we can sue EVGA because they have used false advertising. a ref board on this card where the power connector sticking up like that is such a bad idea with watercooling wth EVGA. I don't mean to be rude, but I'm not sure what physics "are you using". Double the degrees Celcius is not double the temperature. Is an object at 2 degrees Celcius twice as hot as an iceblock at 1 degrees Celcius? What about -1 degrees Celcius? 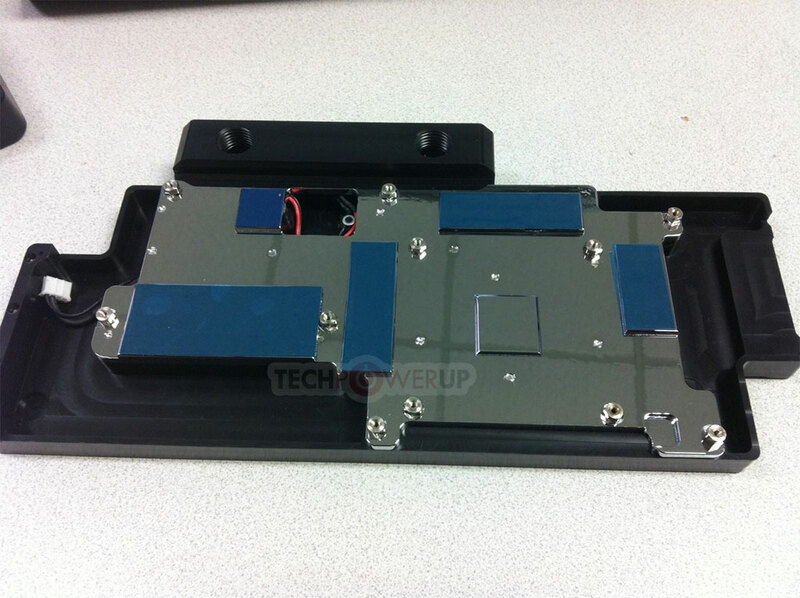 Look at the pcb in the tpu review, there is still a pad for a 6-pin connector next to the two power connectors on the 680. It didn't shorten the length of the card at all. To be fair, most people treat the celsius scale as a positive and negative with the two being different quantities. Most people would class 20 degrees celsius as twice as hot as 10 degrees, even though on the absolute scalar sense it is not. I agree entirely that you are correct in your observation but it would be unfair to call people idiots for using the general norm for the temperature scale. What they're really saying is the cooler "can reduce temps [on the positive scale of celsius] by as much as 50%"
Anyhow, thats the GTX 680 I'll get methinks. Very nice, I like that they are offering SLI water bridges!